﻿ I'm in Love with Vegetable Powders. It started with roasted garlic powder. I had been purchasing my garlic powder from the restaurant supply store. It was good but I didn't like the silicone added to keep it flowing. Why eat sand? Making my own garlic powder had to be simple, right? 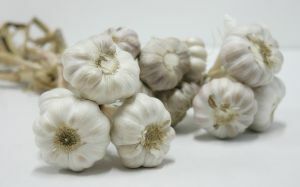 Just puree garlic cloves in a blender, spread out on parchment paper, and dehydrate. Then toss into a blender again and pulverize to powder. I quickly thought - do this outside. My grandfather told stories about being gassed during WWI. I didn't want to go there. I was very pleased with the results. It was much, much fresher and stronger than the store bought brands - and I could make small batches, as needed. As much as I like garlic, I like roasted garlic even more. All of the sharp pungent flavors mellow into a caramelized, almost nutty taste. If garlic powder was good, roasted garlic powder had to be even better. So I smooshed a head full of roasted garlic cloves out on parchment and dehydrated it. Instant family favorite! Everyone who tried it, wanted some to bring home. They poured it onto pizza, sprinkled it into spaghetti, folded it into hamburgers and meatloaf, mixed it with herbs and butter or oil and spread on bread. Then they yelled for more roasted garlic powder! For weeks my crockpot and dehydrator were going full tilt, churning out quart after quart for relatives and friends. What goes with garlic? Why, tomatoes of course! I had never heard of tomato powder. But if I could dry roasted garlic, I could dry tomatoes - and oh, what I could do with tomato powder! So I experimented with small grape tomatoes, cherry tomatoes, beefsteaks and plum tomatoes. I even dried canned tomatoes. Two ways worked the best. The first was just pouring out a can of tomatoes onto the dehydrator tray and drying them. Choose firm types like oxheart, plum or san marzano tomatoes, that are seedless and skinless. Tomatoes have a lot of water in them, but avoid high temperatures in order to make them dry faster. You don't want to cook them. Low temperatures and slow drying time will preserve the bright, fresh flavor. 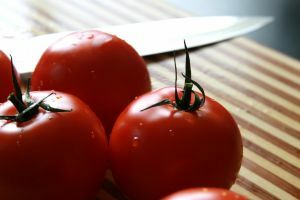 If you are blessed with a garden or have access to very ripe, sweet tomatoes (and again, a firm type), then you can slice, remove the seeds, and dry them in your oven. When crispy just toss into the blender and pulverize. I like to put anything I dehydrate back into the heat for an hour or two to remove any hidden moisture. I also use a mesh colander to separate out any remaining seeds, or tiny bits that do not blend to powder. As I suspected I was able to find 1000 uses for tomato powder - a little water made tomato paste. A little more water made tomato sauce. I added the powder to bread and pasta, it added intensity and flavor to soups and stews, mixed with mayo and diced raw veggies I had a yummy garden dip, I even made my own homemade spaghetti sauce, chili, and taco mixes. No more 99 cent packages for me! I mixed my own, at home! Next on my agenda, I branched out to sweet potatoes. My son loves pureed sweet potatoes. It's one of the few vegetables he's happy to eat. If I bake a few sweet potatoes and dry them, would they reconstitute to a sweet potato puree? The moment of truth came. I put a few spoonfuls of sweet potato powder into boiling water, and in 10 minutes you could not tell the difference between the dried sweet potatoes and fresh cooked. Add a little more water to make them thinner, and they were just like jarred baby food. Ah, baby food! What a wonderful idea. Those little jars are so expensive! If you make your own dehydrated vegetable powder you know exactly what is in it, it takes up much much less room in your kitchen cabinet, you can bring it anywhere with you, and you control the portion size - make as much or as little as you want. If your 'baby' is an invalid or an elderly person, you can give them an adult sized portion. You don't have to use fresh vegetables. Frozen veggies are actually better because they are already blanched - and supermarkets often have frozen veggies on sale as loss leaders. If you are going to dehydrate frozen vegetables to use as is, then just dump the bag out on the tray and dry. But if you want to make a vegetable powder, let the vegetables defrost in a colander over your sink or a bowl so all the water drains off, and then blend. Dry like you would a fruit leather, only keep drying until crispy, then blend to a powder. Of course you can use fresh vegetables too. Just follow the usual dehydrating instructions - firm ripe produce, slice into same size pieces, blanch or treat to prevent browning, dehydrate at the recommended setting, then pulverize to powder. 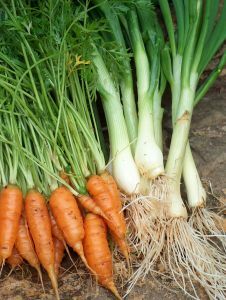 You can use your vegetables straight or mix them together for soups (leek and potato is delicious, as is split pea, and tomato soup), seasonings, healthy thickeners, vegetable drinks, etc. I'm working on a V8 type drink now, using celery, parsley, carrots, spinach, onions, beets, garlic, watercress and tomato powders. I'll post the recipe when I have it perfected. i loooove the roasted garlic & tomato powders! i use them in absolutely everything! i made chicken cacciatore last night, both made an appearance! i made crescents (pillsbury) last night as well, w/a little bit of both powders sprinkled on top, so good! 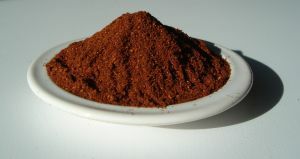 i have added the tomato powder into burgers, pizza sauce, chili, tomato sauce, soups. so many uses! i put the roasted garlic powder in all of the above, also, just spread onto pizza dough w/a little olive oil! yum! every marinade i make gets a little roasted garlic powder!! Tomato powder is very expensive, but it seems simple enough to make at home. How much powder do you get from a #10 can of tomato sauce? Hi SaraJaneL, it depends on how much water content is in the tomato sauce. This will vary by brand and even from can to can. But as a rough estimate you will get about a pint of tomato powder from a #10 can. Keep on saving! I LOVE this! Thanks so much... I just bought a bag of tomato powder and was looking for ideas on what to do with it (specifically to make burger) but you've given me all sorts of ideas! I love the idea of leek powder! We're house hunting right now for a place with some outdoor space, so you can be assured that I'll be making my garlic powder. One question - how long does it keep?